Whether Puritan, Catholic, or Dissenter, those first immigrants and refugees all thought that they could do better out from under the ruling hierarchy of their home island. Either that or they were hired or indentured by those same higher-ups, who claimed to own the colonists’ labor and the benefits it produced. All of these people, colonists and colonialists a like, believed that they could make claim to what they lacked by seeking it in the New World. We tend to use the terms “curing” and “healing” as if they were synonymous, especially in our world of empirical science-based medicine. Nonetheless, in the language of sacred storytelling, the two operate in wholly different realms. Curing means “fixing.” It belongs to the world of things that can be owned and controlled, from bodies to nations. One studies the dynamics of cause and effect, applies pressures, and hopes to assert enough power to “make it right.” Curing is in a sense adversarial. It depends upon identifying opposing forces and besting them. [In] a very real sense we’re meant for a very profound complementarity. It is the nature of things. You don’t have to be a believer in anything. I mean I could not speak as I am speaking without having learned it from other human beings. I could not walk as a human being. I could not think as a human being, except through learning it from other human beings. I learned to be a human being from other human beings. In the world of people, a person has a “disease” if those around her say so. Depending on her culture and era, she might be viewed as being physically afflicted, or she might be viewed as possessed by a demon (see image on right). Healing in this context is social. 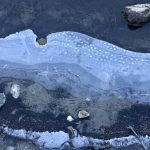 It depends upon persuading both the diseased one and her community that she is still one of them—clean, not unclean—even if she continues to suffer the symptoms of her malady for the rest of her life. Think AIDS. Think mental illness. Think liberal or reactionary. Think white or non-white. Think “illegal” immigrant, “welfare” mother, Muslim, Jew. 14When Jesus saw them, he said: “Go and show yourselves to the priest.” And, as they were on their way, they were made clean. 15One of them, finding he was healed, came back, praising God loudly, 16and threw himself on his face at Jesus’s feet, thanking him for what he had done; and this man was a Samaritan. For this essay, what is most relevant about the story is verse 14. As soon as Jesus sees the ten “lepers,”3 he affirms that they are already clean. He doesn’t “do” anything to heal them. He simply sends them to a priest, the official in their culture with authority to declare them “ritually clean.” This is the crux of all Jesus’ healing stories: he sees people as already healed. Some culturally specific cues are important here. The ten “lepers” had to stand “some distance off.” Jewish law demanded that people contaminated by some unclean disease dare not come near to or touch a clean person, lest they contaminate others. Ritual purity was essential to right religious practice, and an unclean person could not join in worship or sacrifice. Therefore, unclean people were ostracized from all social contact. In this particular story, Jesus merely speaks to the unclean people rather than touching them. Though they are still unclean, they obey Jesus—and are “made clean” on the way. In other healing stories, it is often touching that affects the healing. 34Daughter…, your confidence has saved you. Go, and peace be with you. My interest here is not in how physical curing by speech or touch is possible. I know from the testimony of trustworthy friends that there are genuine methods that empirical science can observe but cannot yet explain. Instead, my concern here is Jesus’ healing of social uncleanness. What causes the greatest discomfort to the religious authorities—and the public—is that Jesus ignores the culturally defined boundaries between clean and unclean. He even eats with people who are considered untouchable (Mark 14:3). What is more, Jesus commends the confidence of these unclean people. In other words, he affirms publicly that they are whole, clean human beings, deserving of the same membership in community as everyone else. [Conviction] of the truth of anything, belief; in the NT of a conviction or belief respecting man’s relationship to God and divine things, generally with the included idea of trust and holy fervour born of faith and joined with it. For the poetic language of sacred story, I find the New New Testament’s use of the term “confidence” for pistis particularly powerful. It emphasizes the sort of empowerment that Jesus affirms in these healings. He is not “giving” these people social inclusion. He is affirming that they already have it, simply by virtual of having been born into the human world. In our current divisive world, too many of us on every side of every issue stay stuck in seeing others as unclean. We pretend that only those who are clean according to our criteria deserve inclusion—even in the debate, let alone in the community. We clamp our stubbornly human “either/or” down upon the fluidness of creation, chopping off what doesn’t fit, expelling those who do not confess to our orthodoxy. But Jesus acts out of his own confidence about the real nature of life—as do all Friends of Jesus, whether they know and use his name or not. He knows, as do we, that no humanly defined boundaries can stand against Ubuntu, the wholeness of life. No cultural notions of uncleanness can stand against the truth that all beings are equally part of the divine order of the world. 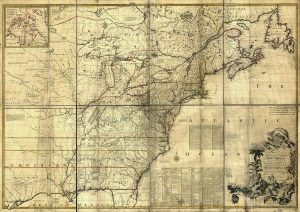 Image: “Mitchell Map – A map of the British and French dominions in North America, 1757,” Library of Congress. 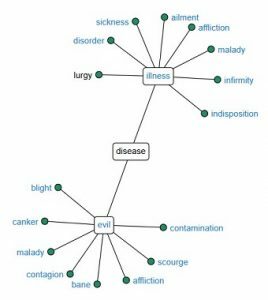 Image: The thesaurus of The Free Dictionary by FARLEX uses word-mapping to show the semantic relationships of the synonyms of “disease.” The map demonstrates well the ambivalence of the term as discussed here. 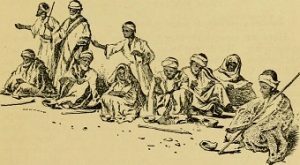 Image: “Ten lepers,” image from page 94 of “In His footsteps : a record of travel to and in the land of Christ : with an attempt to mark the Lord’s journeyings in chronological order from His birth to His Ascension” by William Etridge McLennan (1896), from Internet Archive Book Images on flickr [No known copyright restrictions]. The Book of Joy: Lasting Happiness in a Changing World, by the Dalai Lama, Archbishop Desmond Tutu, and Douglas Carlton Abrams (2016, p.60). A New New Testament: A Bible for the 21st Century Combining Traditional and Newly Discovered Texts, edited with commentary by Hal Taussig (Polbridge Press, 2014). “Leprosy” is a broader and looser term in the Bible. It was not until 1873 that Gerhard Hansen identified the bacillus responsible for leprosy, thus allowing it to be distinguished from a number of other maladies affecting the skin.